Maximum players per team - 13. Age limit - 22 years. Preliminary Round - 10 overs per innings. Semi Finals -15 overs per innings. Finals - 20 overs per innings. Standard rules of cricket will be followed in every game. Registration fee- Rs.1000 per team for UG&Engg. students and Rs.500 per team for 10+2/ Inter students. Best 2 out of 3 sets game (1st set and 2nd set - 25 points each, tiebreaker - 15points). Standard rules of volleyball will be followed in the game. 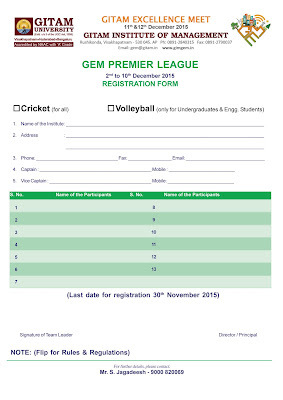 Registration fee- Rs.600 per team. No entry without Student ID card. No refund of fee for non-participation or due to circumstance beyond our control. No reimbursement will be provided to the registered teams in case they want to drop out from tournament later. 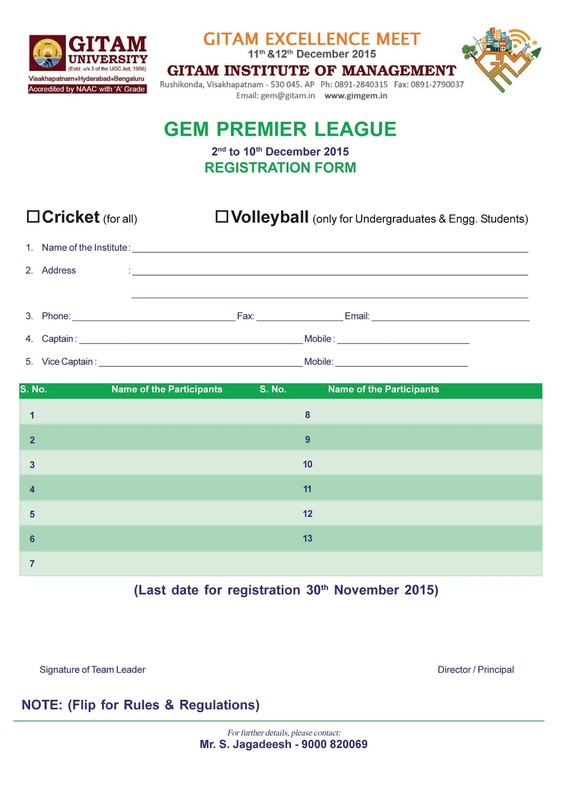 Tournament will be held from 2nd December 2015. Players must be full time students. Permission evidence from the respective college must be provided. Teams must report at least 30 mins earlier before the scheduled match timing. Winners and Runners up will be awarded with cash prize, certificates and trophy.